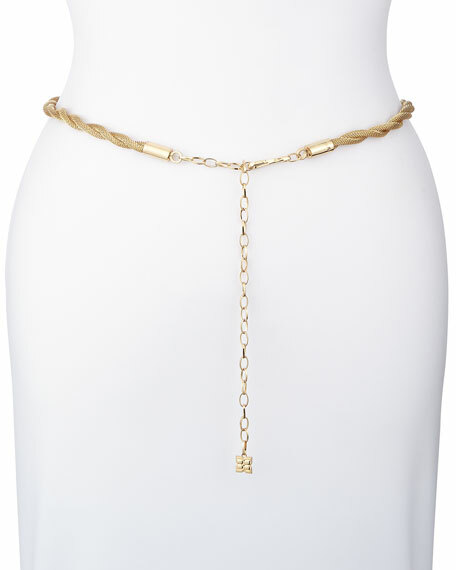 BCBGMAXAZRIA puts a new twist on the belt with this adjustable chain belt, featuring a small clover charm for extra detail. Two thick chains woven together with smooth golden end caps. Link chain and "S" clasp at center for adjustable length. Clover charm at last link.